The village of Wutegble in the township of Glekondji (Prefecture of Agou - Plateaux Region), about 85 km from Lomé, the capital city of Togo. The population has no access to electricity, drinking water or healthcare. Torches and lanterns are used locally and require batteries and/or kerosene. To recharge cell phone batteries, people must travel about 2 miles round trip. 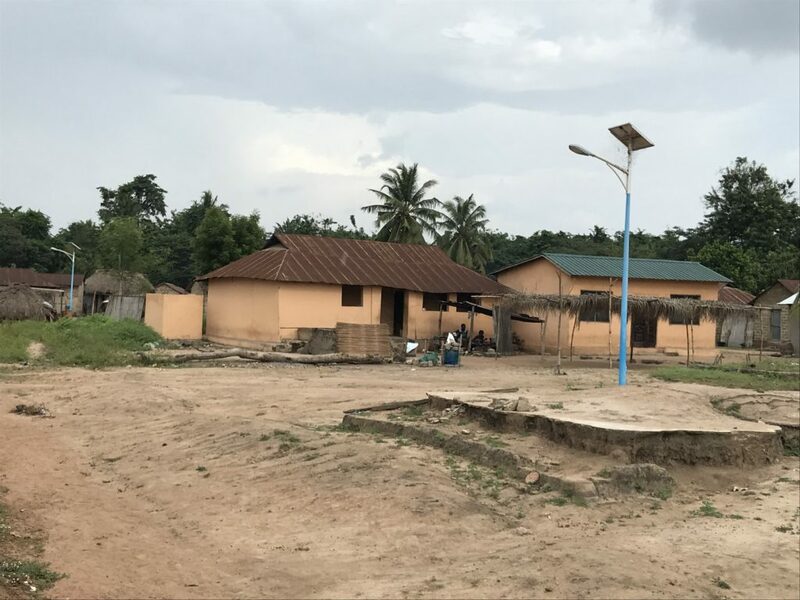 OFED International has provided more than 1,500 residents of Wutégblé access to modern energy services using solar panels for electricity. Street lamps in the village certainly help women carry on the sale of goods as late as they see fit. Women were taught how to manage and maintain solar installations, which strengthened the community. Solar energy has allowed for extended hours of studying and reading after sunset. Women can attend evening classes as part of an functional literacy program. The lighting in the public square not only allows children to do their homework but has also stimulated the economy since women can grow their small businesses by selling their goods during the evening hours.